Wishes and Fairy Godmothers. Prince Charmings and Princesses. How can a little girl not love Cinderella? Cinderella's story is so enchanting and magical every little girl wishes to become a princess. Well, Halloween is one occasion they get to play make believe. Why not let them live up their dream for a day? Let them wear a beautiful blue tulle dress and match it with tiara, wand, and the famous princess slipper. At Elitedresses.com, we have the perfect affordable and functional blue tulle dress that you can use as a Cinderella costume for the Halloween. And you know what's great? 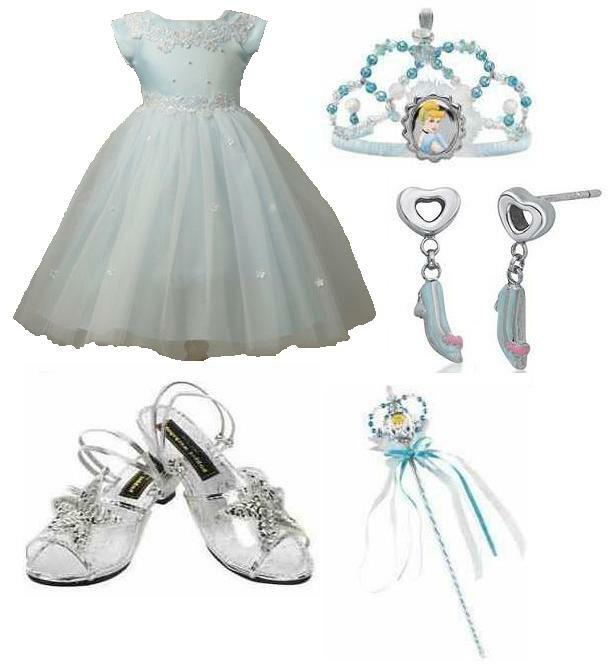 you princess can reuse it to any other special occasion like a wedding or her birthday. Isn't that great? Where did you buy the silver shoes? Or what brand are they? This is a DARLING costume!